Roberto Aguirre-Sacasa`s penchant for taking cheerful intellectual properties and going really dark continues with his new series Chilling Adventures of Sabrina. Aguirre-Sacasa took this dark turn previously with the Archie comics in Riverdale and is looking to romanticize the occult elements of the old Sabrina the Teenage Witch comics. Netflix released the first two images from the show and they appear to have hit the proverbial nail on the head. 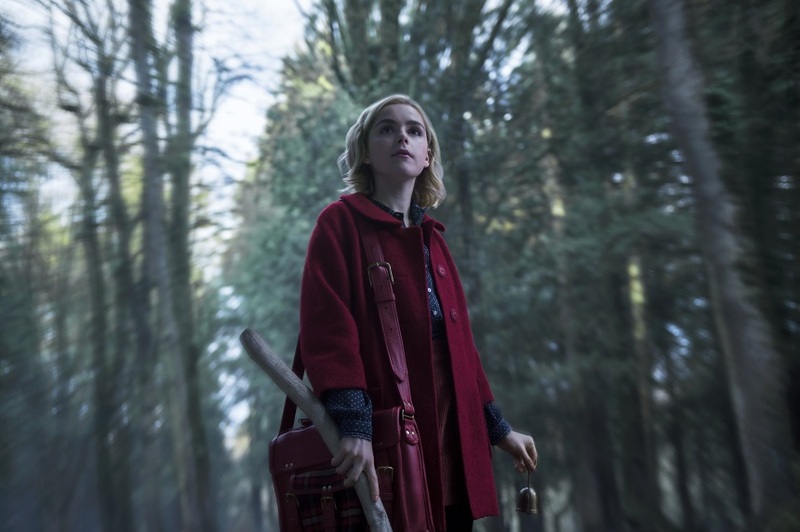 They feature lead actress Kiernan Shipka, who has been chilling in her own right in recent flicks like The Blackcoat`s Daughter. That second image is titled `the dark Baptism of Sabrina`. Then you read the following press release and they`ve upped expectations by throwing in the names of hallowed horror films Rosemary`s Baby and The Exorcist. Yep, cheery stuff.